Firmware version 1.2.3 for the EOS 5D Mark III incorporates the following improvements and fixes. 1. Fixes a fault in which the flash may not fire depending on the timing of when the shutter button is pressed. 2. Fixes a fault in which the AF microadjustment value may change. (This was first addressed with firmware version 1.2.1, and has been further improved with firmware version 1.2.3). 4. Fixes a fault in which the histogram of a Live View image is incorrectly displayed when an HDMI cable is connected. 5. Enables the brightness of the camera's LCD monitor to be adjusted even when an HDMI cable is connected. Canon’s Winter Cashback gives you a chance to make Christmas shopping a little easier. You can receive up to £70 cashback on your purchases, plus an extra £35 bonus if you ‘Mix and Match’ by buying two promotional products at the same time. The Winter Cashback offers savings across a wide range of Canon’s high-quality compact cameras, DSLRs and accessories, camcorders and a printer. To take part and to see the entire range included in the offer, simply visit www.canon.co.uk/wintercashbackwhere you can easily find out how much you can save. Canon is planning a major firmware upgrade for the EOS-1D X, to be avalable from January 2014. Firmware version 2.0 will bring improvements and enhancements to a range of features, including autofocusing and exposure metering. Park Cameras is planning to open a London store to add to its flagship store in Burgess Hill, West Sussex. The new store is based in the heart of London’s West End and is expected to open in December. The LCE Southampton Photography Show will again be held at the Novotel hotel on Sunday 1 December 2013. Visitors will be able to see, try & buy all the latest enthusiast/pro digital SLRs, lenses, accessories, printers and profilers, enthusiast/pro digital compacts, studio flash, astroscopes and more. Many hot new DSLR & CSC products will be on demo including the new Canon EF 200-400mm f/4 L IS USM 1.4x Extender Zoom, EOS 70D and PowerShot G16. Show-only deals and cashback offers will be available from many brands. Expert advice and in-depth demos will be on offer from a host of manufacturer experts as well as highly-trained, friendly LCE staff. Brands exhibiting are to be confirmed but should include: Canon, Nikon, Sony, Fujifilm, Olympus, Panasonic, Pentax, Sigma, Tamron, Tokina, Samyang, Lowepro, Tamrac, thinkTANKphoto, Manfrotto, Gitzo, Velbon, Giottos, CamRanger, TriggerSmart, Nissin, Marumi, Kenro, Celestron, Lens Baby, Hoya, Cokin, SanDisk, Hama & Op-tech. Canon Pro In-store Day, Saturday 30 November 2013, 9am to 5.30pm. Free admission. 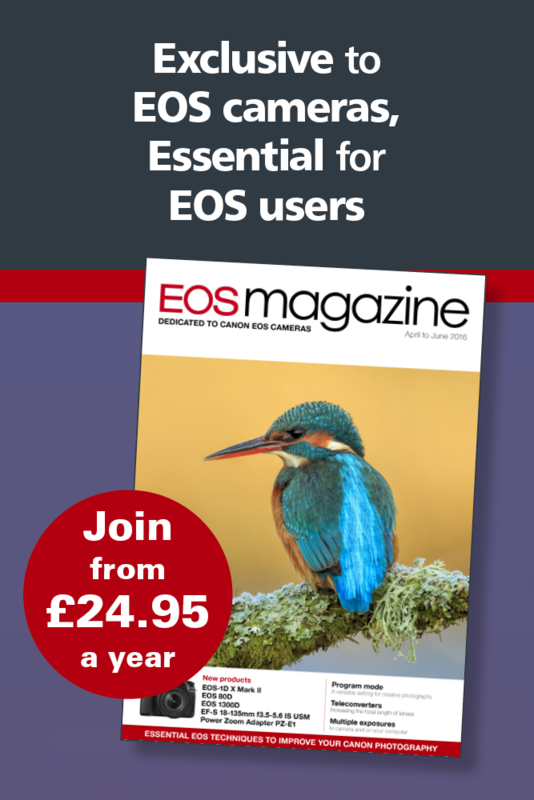 • Huge range of EOS DSLR & CSC system kit available to try & buy, including the EOS-1D X & EOS 5D Mark III, EOS 6D and the new EOS 70D. • A wide selection of Canon enthusiast and L-series lenses including the new EF 200-400mm f4 L IS USM 1.4x Extander Zoom, EF 24-70mm f2.8 L USM II, EF 300mm f2.8 and EF 500mm f4 L IS USM II. • Canon flashguns and accessories including the Speedlite 600EX-RT and ST-E3-RT Transmitter. • The latest Canon PowerShot high-end compacts including the new G16 and S120, plus the SX50HS, etc. • View and buy the superb PIXMA A3+ printer range, including the Pro-1, Pro-10 and Pro-100. Calumet is launching an exclusive six city in-store Autumn Open Day programme starting in Edinburgh and finishing at the company's flagship London branch. Imaging specialists from leading brands including Canon, Nikon, Epson, Manfrotto, Bowens, Lowepro and Profoto will be on hand each day to demonstrate latest products and discuss workflow challenges with photographers. Sian Hamer, Calumet marketing executive said: "These open day events continue to be extremely popular with our customers. They can just drop by and get to grips with all the latest products and free of charge expert advice, along with a variety of special on the day in-store promotions. Photographers across all disciplines and from novices to seasoned professionals are welcome. We will again be offering free sensor cleaning for all Nikon and Canon DSLR cameras – but photographers must bring cameras with fully charged batteries (only one sensor cleaned per person; subject to availability). Canon USA is offering Instant Rebates in the EOS 7D, 6D, 70D, 60D, SL1, T5i, T3i and T3 until 2 November 2013. Rebates range from $50 to $300. Details are at Canon USA EOS Instant Rebates. Rebates are also available until 2 November 2013 on lenses and Speedlites.